One million defective pool and spa drain covers are being recalled because they are incorrectly rated to handle the flow of water and pose a possible entrapment hazard. No injuries have been reported. 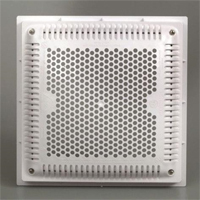 The safety drain covers are being voluntarily recalled by eight manufacturers and are not sold directly to consumers. There are 6.2 million residential and public inground pools and inground spas in the United States and the pool drain cover recall affects fewer than 5 percent, according to the Consumer Product Safety Commission (CPSC). But the recall comes just a few weeks before schools in Massachusetts finish for the summer and it is unclear how many closures it may force among the state’s public swimming pools. The federal Virginia Graeme Baker Pool and Spa Safety Act took effect December 19, 2008, tightening safety standards for drain covers sold to consumers and public pool operators. The recalled drain covers were installed after that, between December 19, 2008 and April 2011. The new legislation has been credited with reducing fatal drownings and pool accidents caused by unsafe suctions. From 1999 to 2008, 12 people were killed in pool and spa entrapments and 72 suffered injuries, according to the CPSC. In 2009 and 2010, there were no deaths and 10 pool entrapment injuries reported. The affected drain covers were sold through independent distributors to pool and spa builders and installers. The CPSC is advising consumers to contact their pool builder or pool service provider. Consumers can also visit the Drain Cover Recall web page maintained by The Association of Pool & Spa Professionals or call the association at 866-478-3521. The manufacturers and pool service professionals will replace or retrofit the defective pool drain covers at no charge to consumers. Consumers are advised not to use pools with the defective drain covers and not to attempt to replace the drain covers themselves. The manufacturers involved in the pool drain cover recall are A&A Manufacturing of Phoenix, Arizona; AquaStar Pool Products Inc of San Diego; California, Color Match Pool Fittings of Surprise, Arizona; Custom Molded Products of Tyrone, Georgia; Hayward Pool Products of Elizabeth, New Jersey; Pentair Water Pool and Spa of Sanford, North Carolina; Rising Dragon USA, of E. Sweetwater, Tennessee and Waterway Plastics of Oxnard, California.